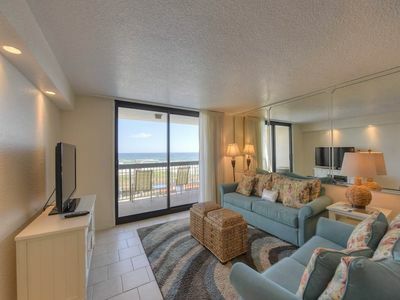 This is a 2 Bedroom, 2 Bath, Sleeps 7 1st floor unit at Sandpiper Cove in Phase 2 Beach Side. 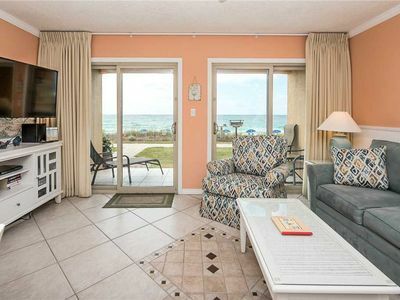 Sandpiper Cove is a 43-acre gated resort with 1,100 feet of private beachfront. 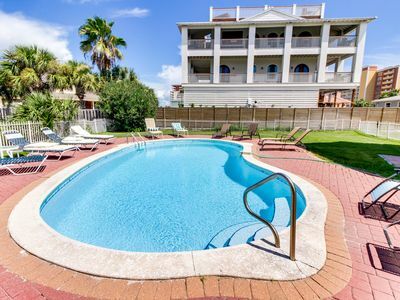 Also available are boat slip rentals and launch, 9-hole, par-3 golf course, five swimming pools (2 are heated for your comfort during cooler seasons) and 3 hot tubs, 6 tennis courts (3 lighted for evening play), and 2 restaurants - Louisiana Lagniappe (Pronounced "LAN-YAP") & Rick's Sand Trap Beach Bar & Grill. 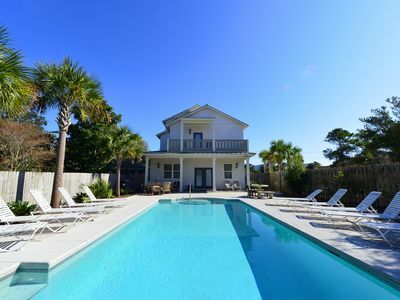 Sandpiper Cove is also a great wedding destination. 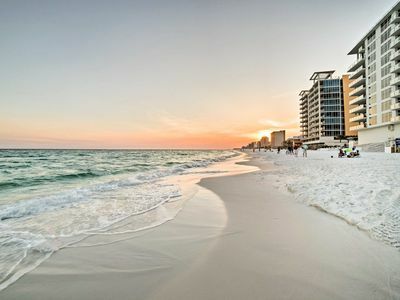 Additionally relax on the beach while basking in the warmth of the sun. Play a game of beach volleyball (directly in front of unit & YES there's a ball available for you to use! 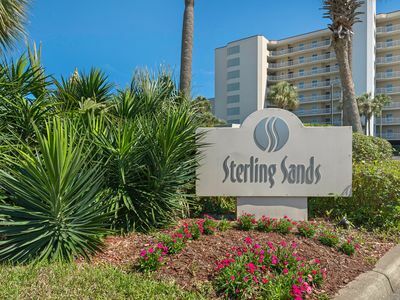 ), take a long walk as the gentle waves wash over your feet or see the beach service about renting chairs, umbrellas, kayaks, stand up paddle boards, and boogie boards. 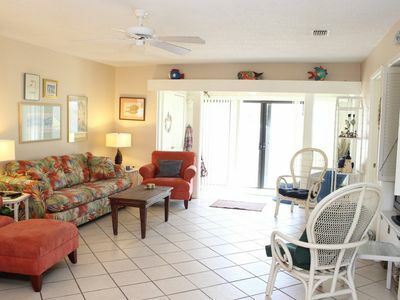 Chairs are available for rent through Sandpiper Cove's beach service to create a more comfortable day at the beach although this unit provides beach chairs and more. There are 2 bedrooms and 2 baths. 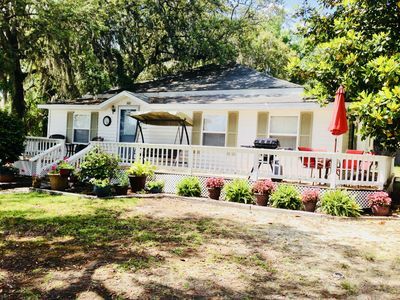 The master has a king bed, private french doors to the deck (with blinds in the glass), private bath, vanity area (with makeup mirror), and a 32" TV. The second bedroom has full over full bunks with a twin trundle bed underneath sleeping 5. It has a 24" TV and would be great for either a couple, 2 couples, or up to 5 children. The second bath is in the hallway next to the washer and dryer. All towels and linens are provided as well. All floors are hardwood. (Floor is being refinished and unit painted.) 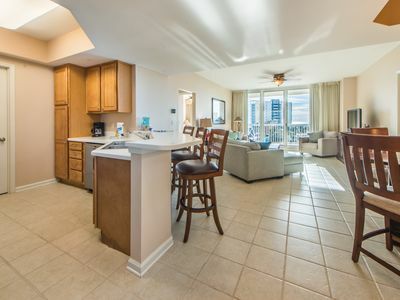 Look at the open floor plan for the living room, kitchen, and kitchen alcove! 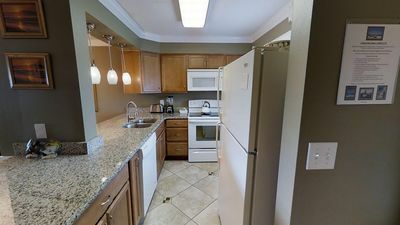 The kitchen has everything you need to save some money by cooking in on the solid surface stove. The alcove has a wet bar, wine cooler (new), and separate ice maker. A new 43" smart TV. 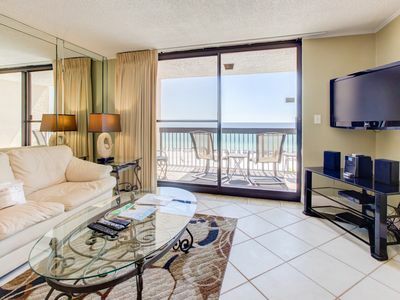 New digital TV service, WiFi, DVD Player (of course many kids movies are provided in the condo and Holiday Isle offers free rentals! 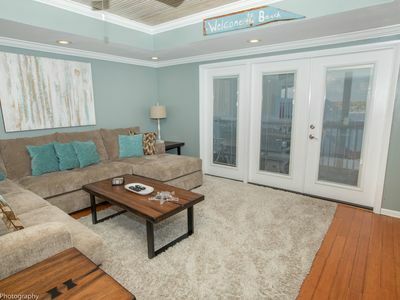 ), and Wii with 4 rechargeable remotes, Draw Pad, Steering Wheels, and over 10 games including Mario Kart & Family Game Night, as well as a Printer/Copier are included in your PRIVATE Media Center for your convenience. 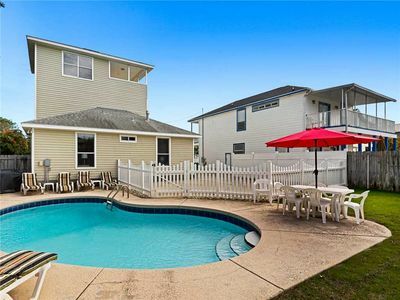 Large Fenced in Backyard, Pool, Two Balconies, & 3rd Floor Sitting Area. 4 Complimentary Bikes! 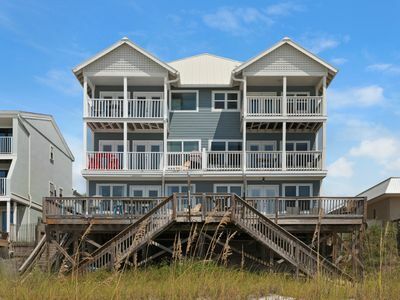 Great view and Only steps to the beach! 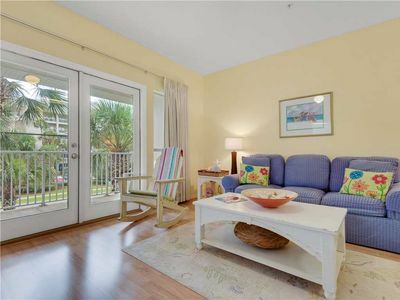 Bright and cheerful condo! 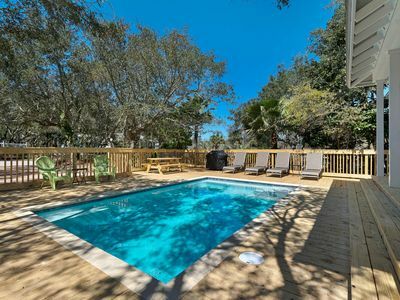 Next door to community Pool! 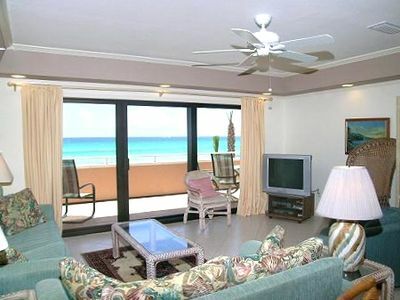 St. Lucia 503☀2BR in Silver Shells!☀OPEN Apr 26 to 28 $710! 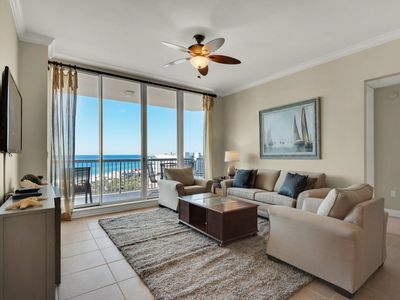 Gulf Views-Priv Bch! 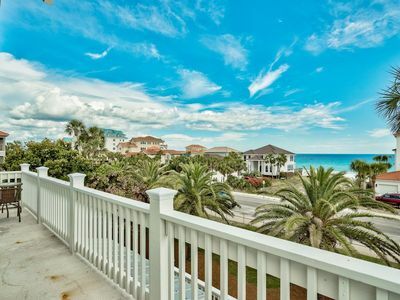 GORGEOUS Destin Beach Front Gulf Front home! 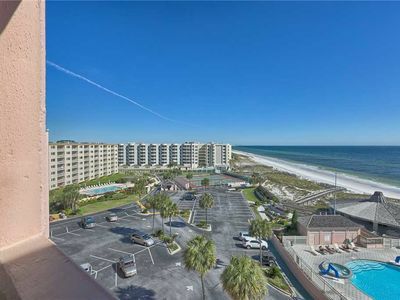 Private Beach shared by four units!